Semi-transparent, anti-carbonation acrylic paint with a smooth finish for internal and external surfaces. Colour: colours from the colour chart range or other colours using the ColorMap ® automatic colouring system. Density (EN ISO 2811-1) (g/cm ³ ): approx. 1.27. Dry solids content (EN ISO 3251) (%): approx. 59. Dilution rate: 10-15% of water. Application: roller, brush or spray. 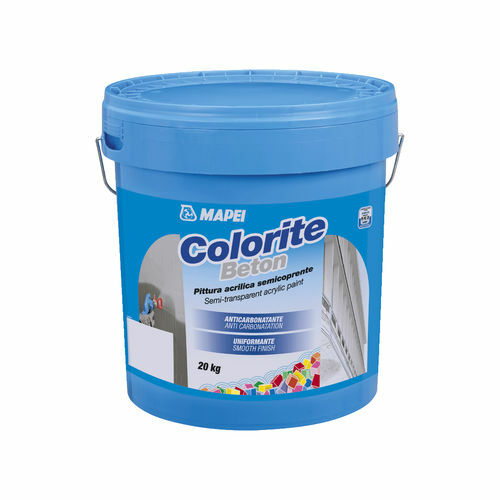 Consumption: 0.25-0.3 kg/m ² (for two coats).